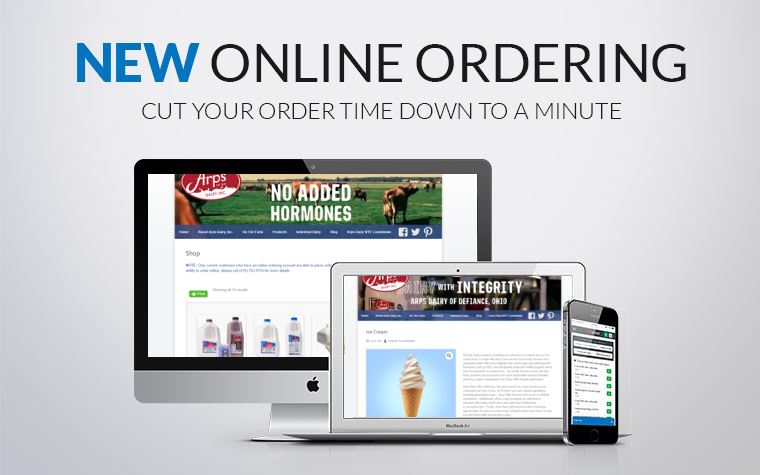 In this age of technology, Arps Dairy is proud to offer our current customers a new way to order which will both improve customer order accuracy and improve the speed in which current customers place orders. Current customers interested in the ability to order online should contact Adam Donaldson at (419) 782-9116 to set up an online ordering account. An email confirmation will be sent to you, and you will be invoiced for your purchase upon pickup or delivery. If there are products you order that are missing, be sure to contact us to let us know so we can get that taken care of for you as quickly as possible. We hope our current and prospect customers enjoy this online ordering option as it offers us yet another way to better serve you.